Radiochemistry with short-lived PET-radionuclides has a history at Turku extending to 1970:s, at the MGC 20 cyclotron installed in 1974 in Gadolinia building at Åbo Akademi University. Today 3 cyclotrons on site (MCG 20, Efremov; Cyclone 3, IBA, Belgium; and CC 18/9 MeV, Efremov) are used for radionuclide production. The cyclotrons are mainly used for production of F-18, C-11, O-15 and Cu-64. Since 2001 68Ge/68Ga-generators have been purchased for 68Ga-labeling chemistry. The labeled tracers are used for clinical diagnostics, (tracer-list) as well as for clinical and preclinical research and development. At present the synthesis of 11C- and 18F-labeled tracers take place in two separate laboratories. The older laboratory is situated in Gadolinia, employing the MGC 20 cyclotron and 6 hot-cells for radiotracer production and research. The versatile quality of the MGC 20 as a multiparticle and a variable energy device makes it in many respects a very important production tool. The hot-cells are equipped with various automated synthesis devices for 11C-methylation and 11C-carboxylation reactions as well as devices for 18F nucleophilic, electrophilic and fluoromethylation synthesis routes. Adequate analytical instrumentation for quality control and tracer development work is also available. 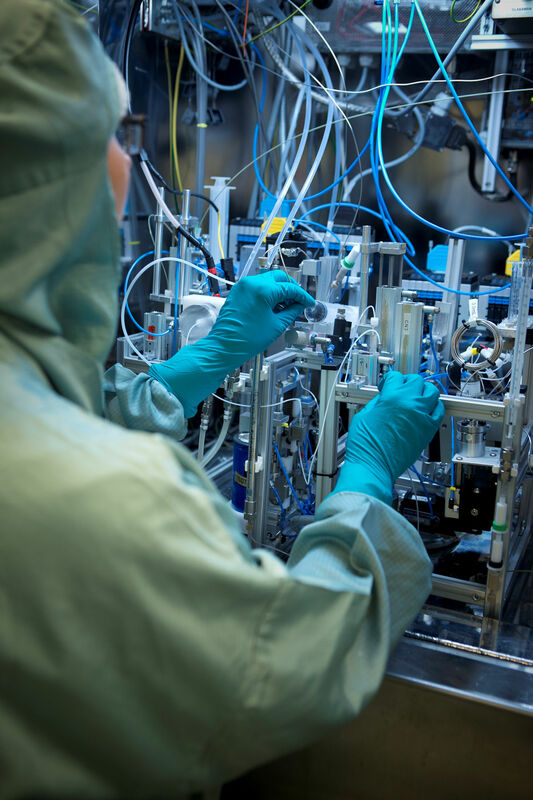 The new laboratory facilities in the PET-building at Turku University Hospital (acronym RK2) include the CC 18/9 cyclotron, radiopharmaceutical laboratories with six hot-cells in clean room environment as well as four hot-cells for radiochemistry research and development. The new cyclotron with higher beam capacity gives possibilities to, aside from increase radiotracer batch size, improve quality of end product in the form of high specific radioactivity. RK2 provides adequate space and equipment for development, production and quality control of radiotracers in GMP environment. The 15O-tracer production and 68Ga-tracer production are also situated in the PET Centre building. The IBA 3D cyclotron and a separate laboratory room with 2 hot-cells are used for 15O-chemistry. 68Ge/68Ga-generator is utilized for the labeling of DOTA-conjugated oligonucleotides and peptides to be used for clinical and nonclinical studies. The clinical 68Ga-labeling is performed in dedicated hot-cell utilizing commercial synthesis device in classified area. The functionality has to be developed in close accordance to the GMP-regulations/guidelines that for the moment are under development in EU and US for manufacturing of PET drug products. 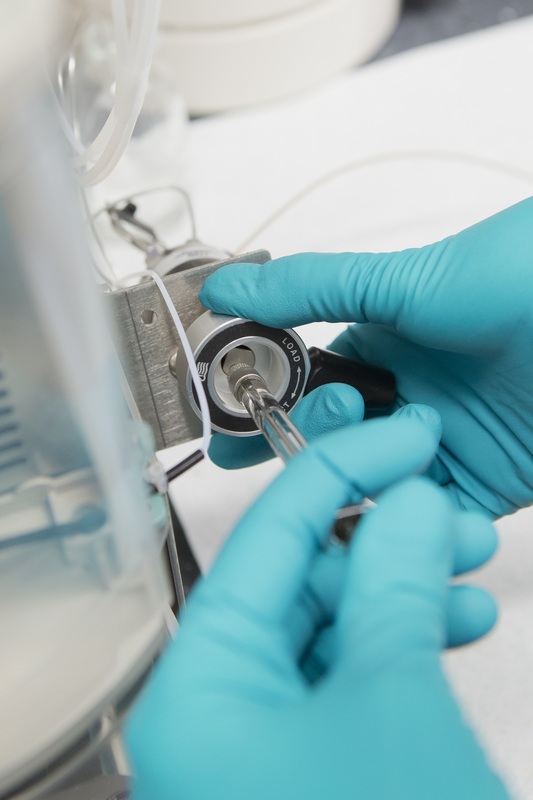 The development and evaluation of new labeled tracer molecules is made in close cooperation with the MediCity Preclinical imaging laboratory (see preclinical imaging).